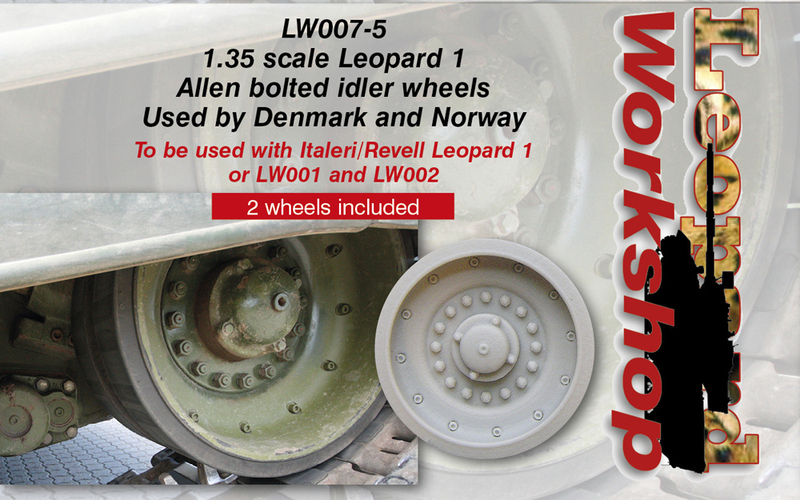 Ideally these bolted wheels should be used with LW001-1 or LW002. They are all the correct profile, unlike other kit wheels. When used together, they will work. These wheels cannot be used with the Meng or Takom back idler wheel faces. Both the Meng and Takom back idler wheel faces have a compeltely flat profile which depend on a molded-on spacer on the front wheel face. These should be replaced altogether.